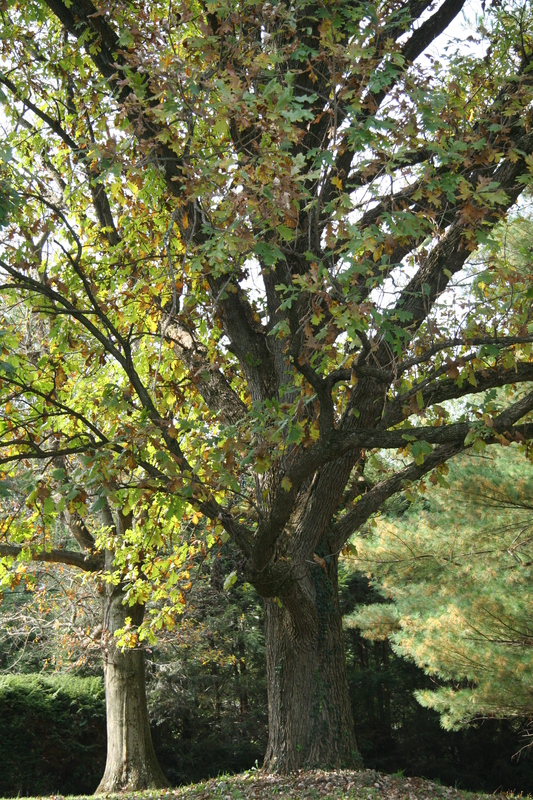 Bur oak is named for its rounded fringed acorns, which are the largest of any oak in North America (“macrocarpa” means “large fruit” in Latin). A rather slow-growing tree that can live for hundreds of years, it is resistant to fire and drought due to its large taproot. Every few years, larger quantities of acorns are produced (a process known as “masting”) to overwhelm wildlife’s ability to eat them for food. Bur oak has somewhat large leaves divided into 5 to 7 lobes with wide sinuses that can reach almost to the midrib. Its wedge-shaped leaves are 6 to 12 inches long and 3 to 6 inches wide.